Joe helps his clients grow their Intellectual Property (IP) portfolios, advises them on IP strategy, helps them monetize and enforce their IP, and defends them from attack by a competitor’s IP. During his more than 17 years of practice, Joe has worked with clients ranging in size from Fortune 500 companies to start-ups. He has worked with companies in a wide variety of industries and in many technical fields including wireless and land-based communication systems and networking, computer hardware and software innovations, Internet-based innovations such as software applications and business methods, medical imaging and treatment systems, and consumer products of many types. In helping clients grow their IP portfolios, Joe enjoys working with companies to develop cost-effective IP solutions that drive revenue and provide value while at the same time meeting the targeted needs of the client’s specific industry and products. 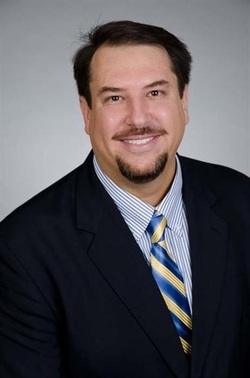 In this regard, Joe specializes in developing and enforcing powerful IP portfolios that are typically centered around a patent backbone, but often include trademarks, copyrights, design patents, trade secrets, and license agreements to form a solution tailored to an individual client. In developing portfolios for clients, Joe has prosecuted over 1200 patent applications in the U.S. and other countries around the world and has registered numerous trademarks and copyrights. In advising clients, Joe is often called on to evaluate the intellectual property of competitors, of potential acquisitions, or for in-licensing or cross-licensing. In this regard, he has prepared numerous invalidity and non-infringement opinions and has conducted pre-market IP product clearances as well as pre-investment analyses of corporate IP holdings. In the enforcement arena, Joe has aided clients in numerous successful licensing/ litigation efforts yielding millions of dollars to clients, often based on portfolios that he helped create. With regard to defending clients, Joe has also successfully defended companies from attack by a competitor’s patents and other IP on many occasions, often based in part on the threat of the competitor being countersued using the portfolio that Joe had developed. In the academic arena, Joe is a recognized authority on patent prosecution and is currently an Adjunct Professor at the University of Illinois College of Law where he has taught Patent Prosecution since 2005. He also founded and directs an Intellectual Property (IP) Clinic wherein law students draft full patent applications for undergraduate student inventions or assist in the filing of trademark applications for student companies that are referred by the College of Engineering’s Technology Entrepreneur Center (TEC). Joe also serves as a Visiting Lecturer in the University of Illinois Department of Industrial and Systems Engineering where he teaches Engineering Law and teaches Legal Issues In Engineering Entrepreneurship through the TEC. From 2009-2012, Joe directed a weekly Continuing Legal Education (CLE) program focusing on patent prosecution and portfolio management for attorneys at a large specialty IP law firm and their clients. Admitted to practice in Illinois. Registered to practice before U.S. Patent and Trademark Office. Member of the bar of the U.S. District Court for the Northern District of Illinois. CyberSource And 101 Analysis – A Departure From Bilski? Therasense: Will the Fed Cir Stop the Inequitable Conduct Madness? Roy Strom, Local IP Lawyers consider issues in California Twitter account lawsuit, Chicago Daily Law Bulletin, January 31, 2012. Amanda Robert, Google's bid for Motorola means play for many Patents, Chicago Daily Law Bulletin, August 26, 2011. Amanda Robert, Business method patents hinged on one vote in Bilski, Chicago Daily Law Bulletin, June 29, 2010. Erin Coe, Lack Of Guidance In Bilski Will Spark Suits: Attys, Law360, June 28, 2010. Amanda Robert, Ruling may spur IP lawyers to rethink business model, Chicago Daily Law Bulletin, May 27, 2010. Danyelle Michelini, Patent Clinic reaches out to student innovators, University of Illinois Col. of Engineering, April 7, 2010. Subject Matter Ineligibility - The End of an Era?